How do you make Christmas cookies with thirteen year old boys? Violently. since the boys were old enough to say "artificially colored sugar." Island. Really gets you into the spirit of the season, doesn't it? 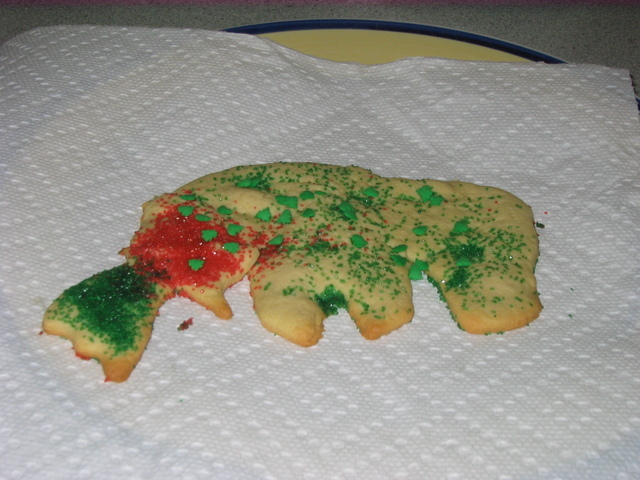 In recent years, we've come to make more, um, creative Christmas cookies. One year, after having been turned-on to food coloring markers, all the people-shaped cookies had butts drawn on the back. 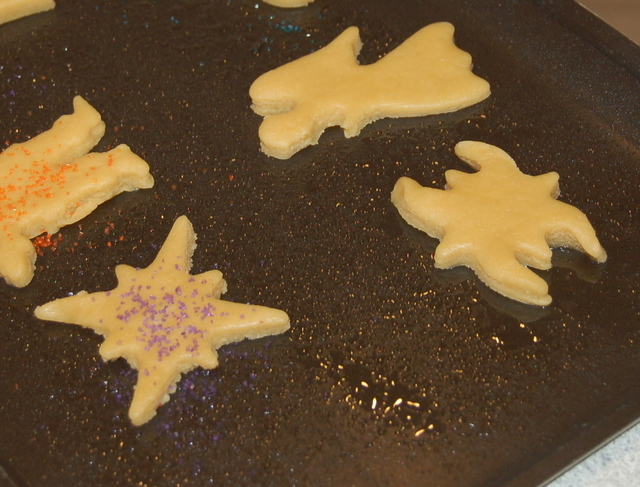 And who knew my favorite little star cookie cutter could be used to make ugly bugs? I hope the cookies that display reindeer and bears eating Santa and angels are just a throwback to the boys' Hunter Island days and not any kind of indication they've been playing too much Call of Duty. My daughter made cookies with us for the first time last year and I was hoping she would add a more gentle, feminine approach to the process. No such luck. 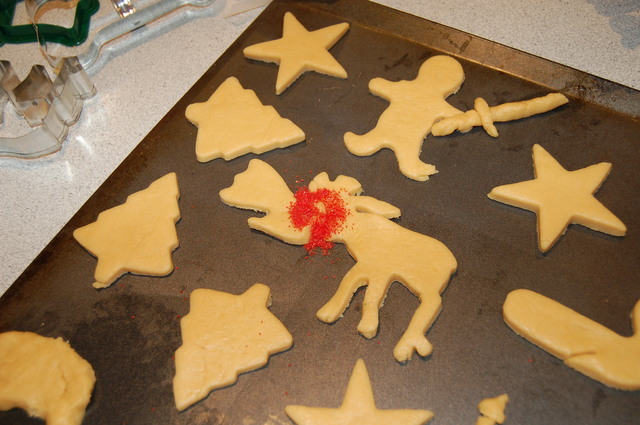 Regardless, today is the day we've set aside as cookie baking day, and so we need to get to it, our Christmas cookie call of duty, so to speak. All three of the kids told me yesterday they were looking forward to it. I'm looking forward to continuing our tradition, and perhaps even secretly, to the evil results. Because, from the baking to the eating, the whole process is still delicious.